Irrfan Khan is finally back in the city and dived into work right in, only a few days after being spotted in the country. 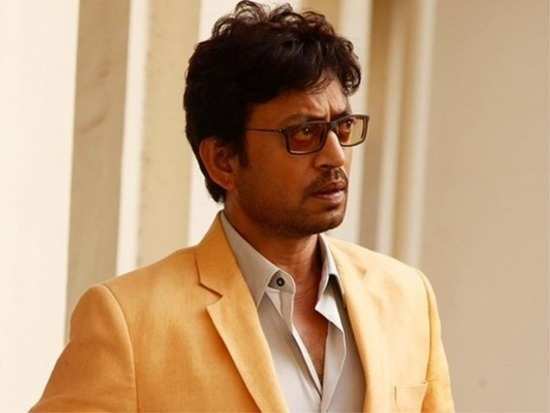 Irrfan Khan fans, are you listening? Irrfan Khan is finally back in the city and has dived into work right in, only a few days after being spotted in the country. His ‘film, ‘Hindi Medium’ was a hit with the audience. Not long after the film’s release, speculations for its sequel were doing the rounds. Irrfan has finally begun shooting for the sequel, ending the speculations once and for all. Not only was ‘Hindi Medium’ hit, but it was also one of the top grossing films of 2017 and the third most profitable film that year. The film hit a chord with the audience for its real performances and more real storyline. The film depicted the story of a well-off Chandi Chowk couple (played by Irrfan Khan and Saba Qamar) who take up unusual ways to give their daughter the best education possible. Angrezi Medium, from the name, seems to have a similar premise but would have a completely fresh storyline. The film would be directed by Homi Adajania and produced by Dinesh Vijjan. Check out a few pictures from the shoot. Irrfan had been consciously maintaining a low profile and keeping a distance from the media for a while now. The 'Piku' actor had returned to the country earlier this year after getting a thorough treatment for a neuroendocrine tumor in London. But the actor readily posed for the shutterbugs outside the airport and it’s safe to say the health setbacks are a thing in the past now. 3The ‘Kalank’ trailer is out and we’re convinced it’s more than just a story of eternal love!